Consumers generally understand the importance of credit scores and how they can impact significant areas of your financial life. But the latest survey from TransUnion, one of the three credit reporting bureaus, has identified several important misconceptions about credit and credit scores. For example, closing a credit card account does not automatically lower your credit score. It might, but it all depends on the amount of credit you have available to you and the length of the credit history on the account. If you fear you have become a victim of fraud, it is possible to lock your credit accounts, but you have to lock each one separately. There is no one tool that will lock your TransUnion, Equifax, and Experian accounts at the same time. Your marital status has no bearing whatsoever on your credit standing. This is apparently a widespread misconception because the TransUnion survey found that 44% of consumers believe it does. Another misconception is that a low credit score could reduce your ability to travel outside the United States. It doesn't, but nearly a third of consumers believe it to be true. If you apply for credit and the lender checks your credit account, it will result in a slight and temporary lowering of your score. But if you check your own credit, it has no effect. In fact, TransUnion says regular credit monitoring is encouraged for identity theft protection. Your credit report will factor in prompt bill payment but not all monthly payments are included. Your payment record for your utility bill may be a factor, but it might not. TransUnion says not all utility companies report on-time payments and delinquencies, though most do. 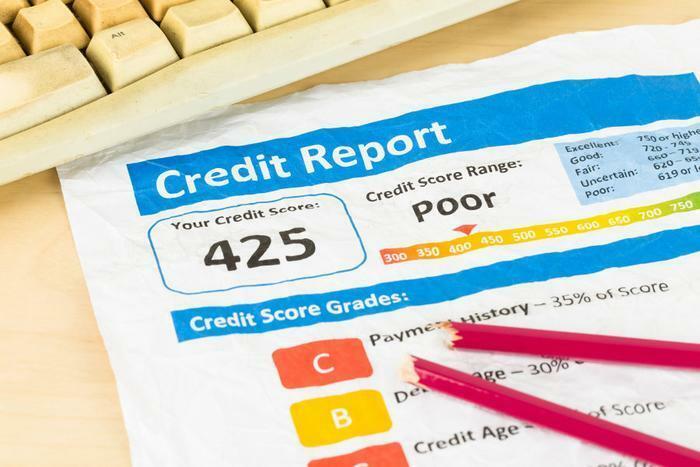 TransUnion says the average VantageScore in the U.S. is around 645, suggesting consumers need more information about credit and how to manage it. “Making credit education accessible for all consumers is one of our top priorities,” said Heather Battison, a TransUnion vice president. “In general Americans should invest more time and energy into managing their credit." Battison says it is important for consumers with less-than-excellent credit work on raising their credit scores. The best way to do that is with timely repayment of financial obligations. Even small bills, if not paid on time, can drag down a credit score. Who makes use of your credit score?